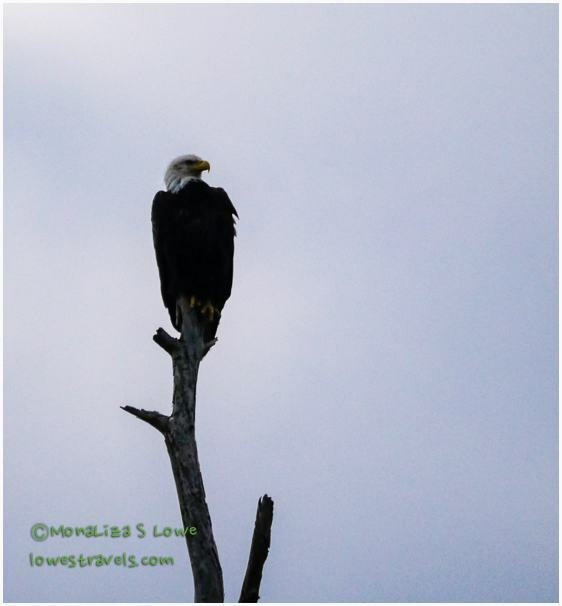 We are now on our last few days of nature tripping, wildlife viewing and generally just gawking at the beauty of Florida. We are savoring every minute as much as we can, for we know it will be a long time before we head this way again. 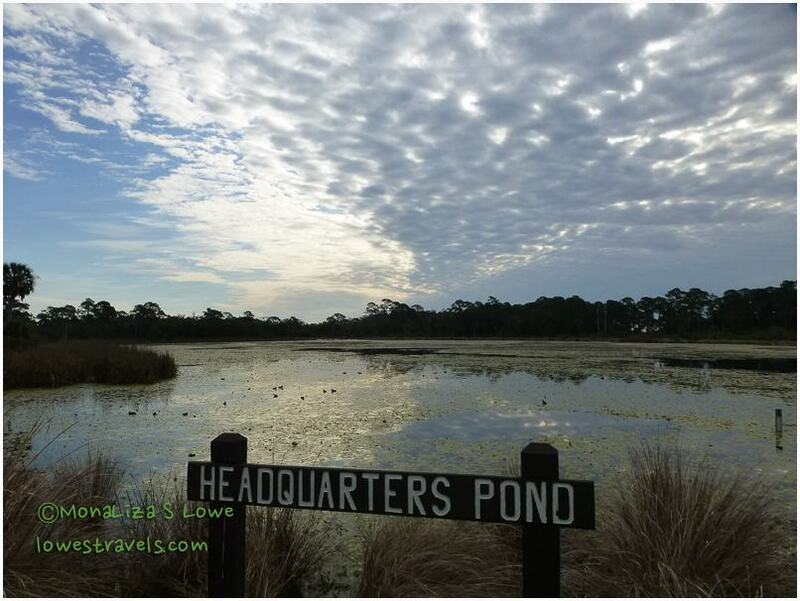 With the little time we had while at Ochlockonee River State Park, we ventured a bit further and visited St. Marks National Wildlife Refuge. 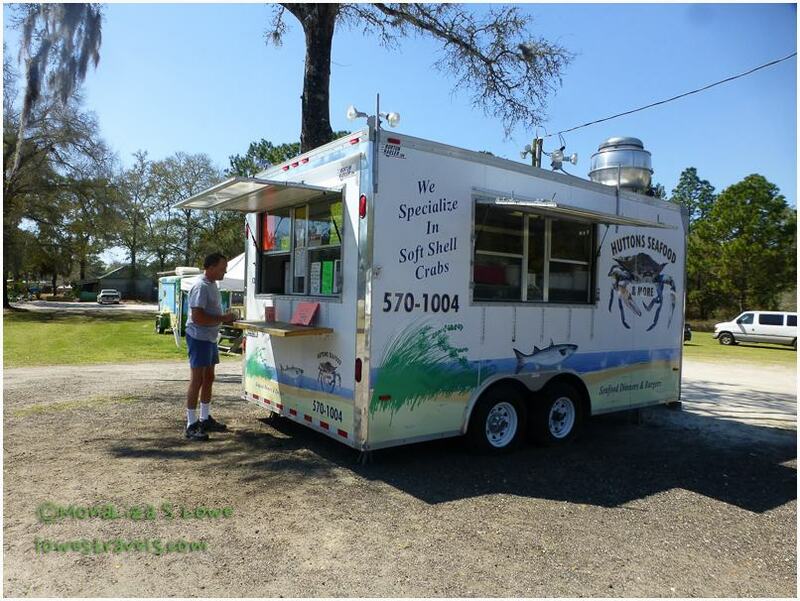 But let me first show you some neat off-road vendors who were selling the freshest shrimp, tastiest sandwiches and Tupelo honey (all-natural and 100% raw). There are no big-box stores here, and patronizing the local small business folks is fun and guarantees excellent products! 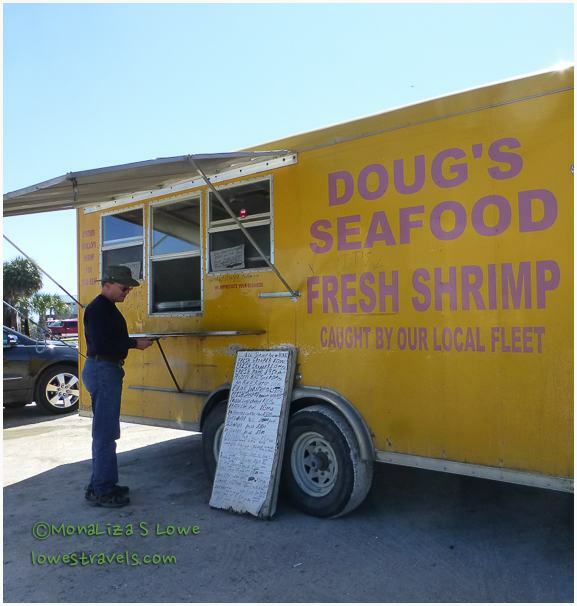 Fresh gulf shrimp and more! 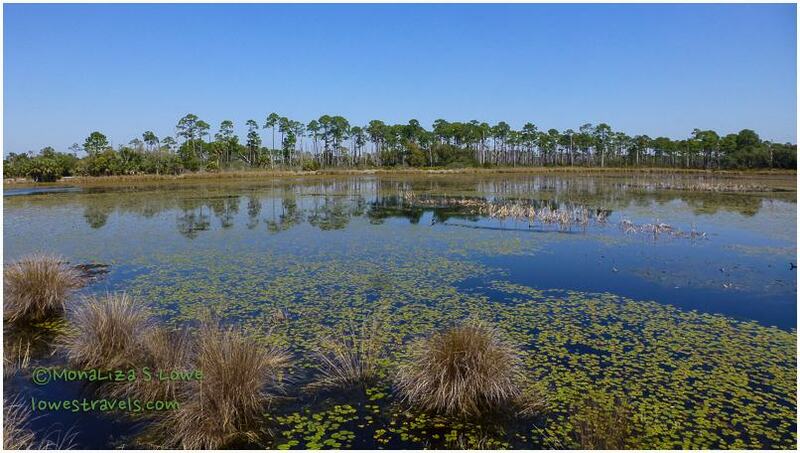 It was a gorgeous day when we visited St. Marks National Wildlife Refuge. On our way there, beautiful cloud formations caught my eye and as we entered the area they became a great backdrop for the open areas of the refuge. This unique refuge was established in 1931 to provide wintering habitat for migratory birds. 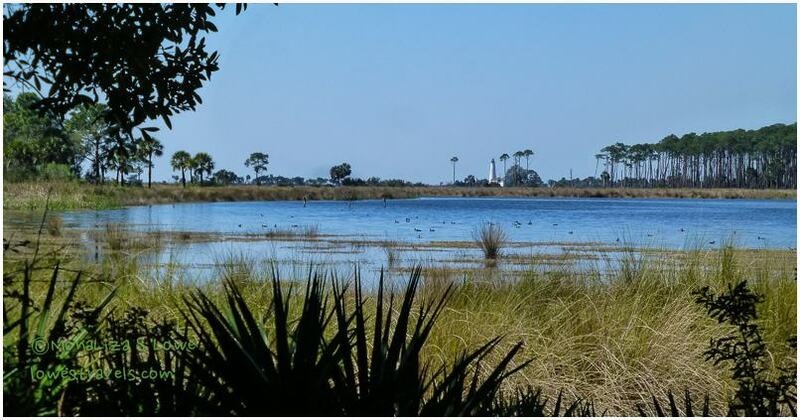 Wildlife abounds at St. Marks NWR, due to the wide diversity of habitats – from wilderness saltmarshes to rolling longleaf pine forests – with freshwater swamps, lakes, and palm/oak hammocks in between. 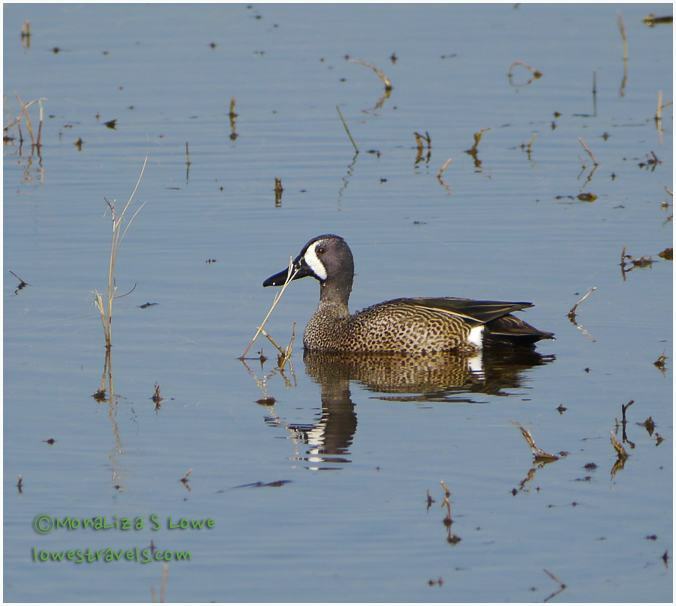 It’s one of the oldest refuges in the National Wildlife Refuge System. 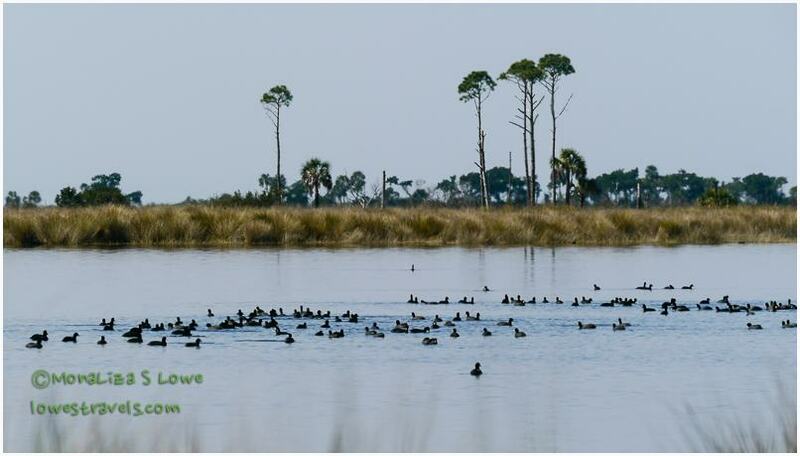 Encompassing 68,000 acres, it is a well known natural Florida habitat for wildlife, especially birds. Indeed, on this day we saw several birders and nature lovers armed with binoculars and long-range cameras. Driving along Lighthouse Road, we immediately experienced vistas of wide-open blue skies contrast with amber brown and green landscapes of diverse natural habitats. This seems to be a place that doesn’t get too busy, and we enjoyed the relaxing drive and quiet of the area. Steve and I had a hard time deciding where to begin and which trail to follow, as there are several of them to enjoy. 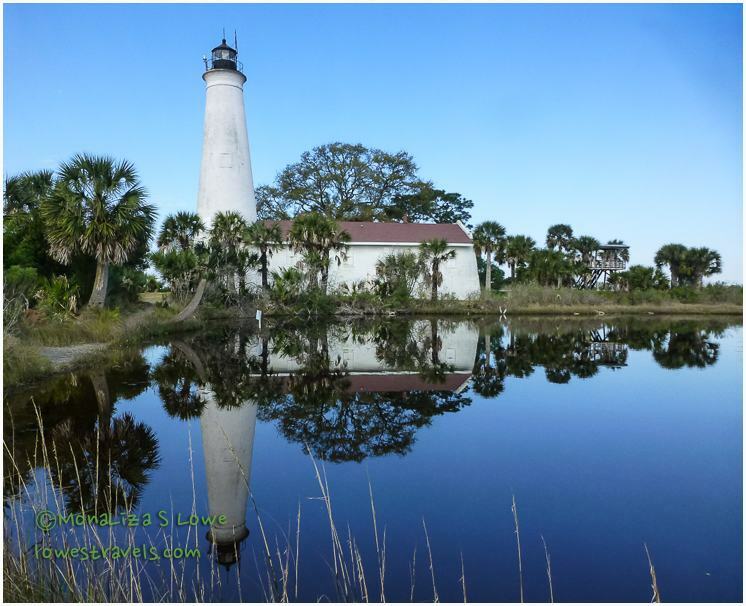 We began by driving from the Visitor Center to the old historic St. Marks Lighthouse all the way at the other end, which covered about 6.8 miles of the wildlife drive. From there we walked the Lighthouse Levee Trail, a short path that focused on coastal plants. We saw all kinds of birds from up on the observation tower. The bald eagle sat on top of the tree majestically, while the ducks and coots were busy feeding below. It was a delight to just watch and hear them sing their own tunes! Next we drove back and followed the Tower Pond Trail, which winds through slash pine forest, oak and salt marsh. 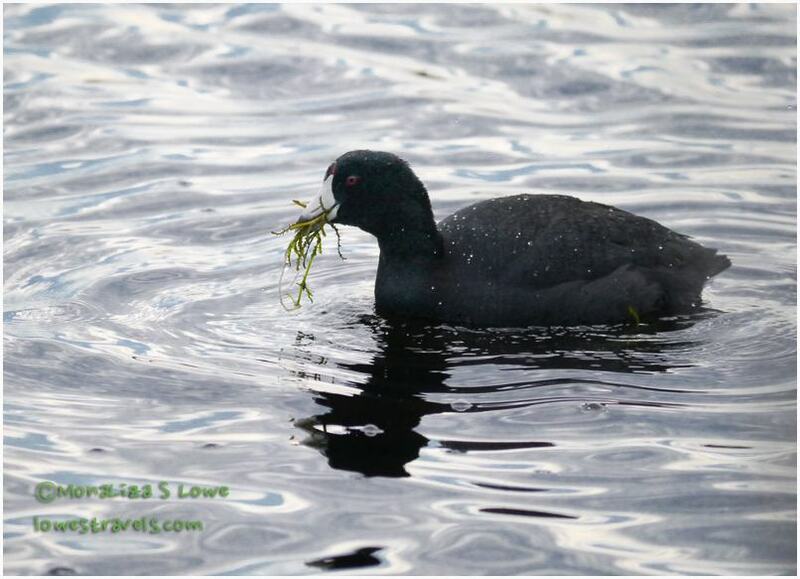 Hundreds of American Coots could be seen on the lake. About half a mile into the trail we came across a pond where we saw a variety of migrant wading birds. I tried to identify them from up in the photo blind, but they were too far away. We just sat there for a few moments and observed them. The Great Egret stands tall among the Snowy Egrets. We walked up to an observation deck at the Headquarters Pond Trail, across from the Tower Pond trailhead. The moorhens, ducks, egrets, coots and baby alligators all seemed to be getting along well together. 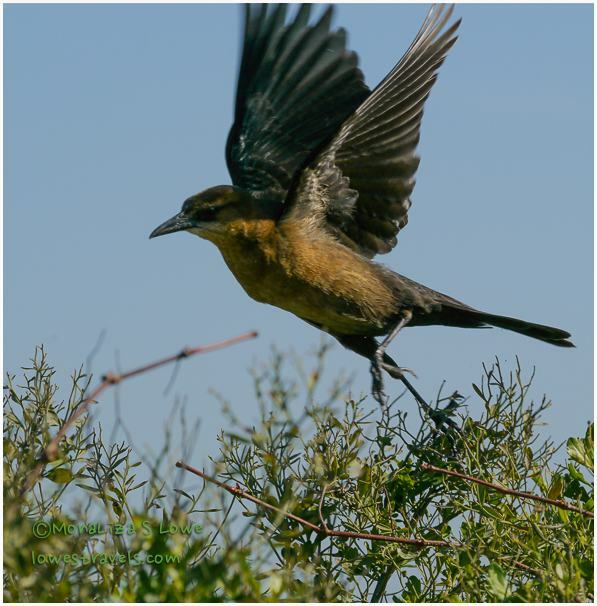 The refuge was an exceptional place to enjoy nature and wildlife at its best and you don’t have to be a birder to be here. 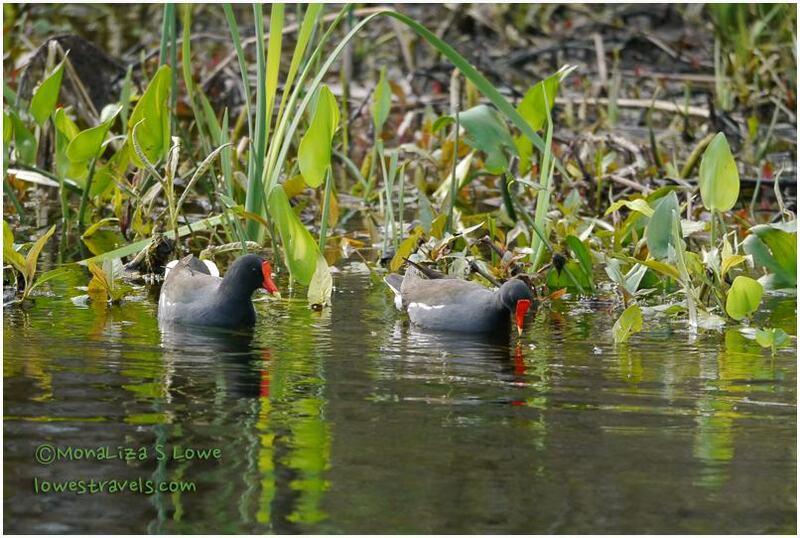 Each inlet or body of water was full of different species of birds – migrants and/or the local residents. St. Marks NWR is truly one of Florida’s many hidden treasures, and we found ourselves in a moment of peace as we explored this pristine area. 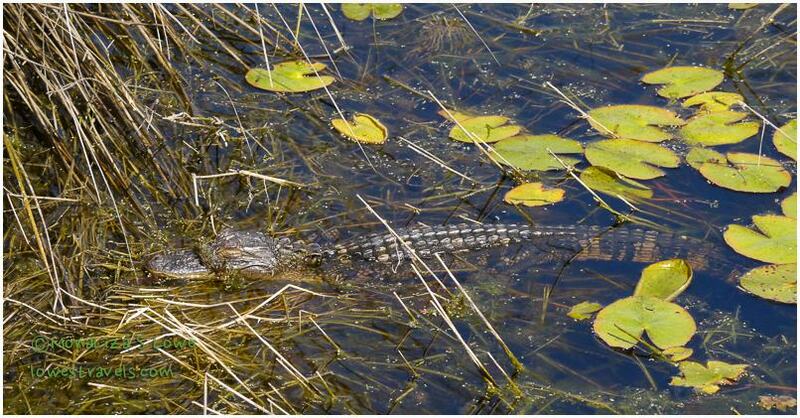 Our visit was a great ending to what we’ve been experiencing, classic Florida wildlife preserve. 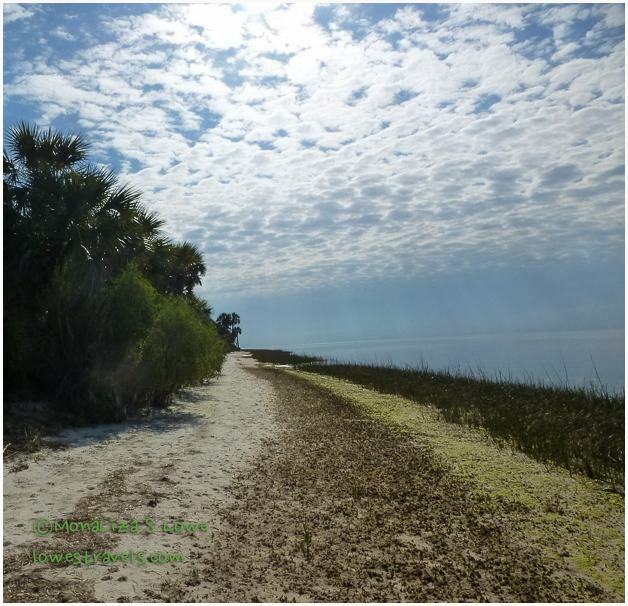 More gorgeous photos of beautiful Florida. So many beautiful birds! Isn’t Tupelo honey wonderful? 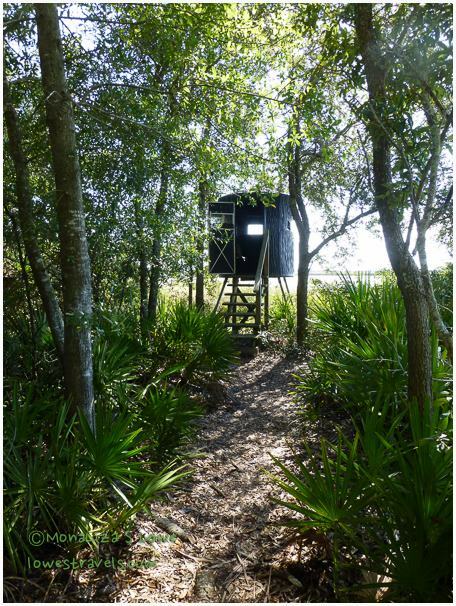 This looks to be a wonderful place to wander the trails and watch the birds one last time in FL. 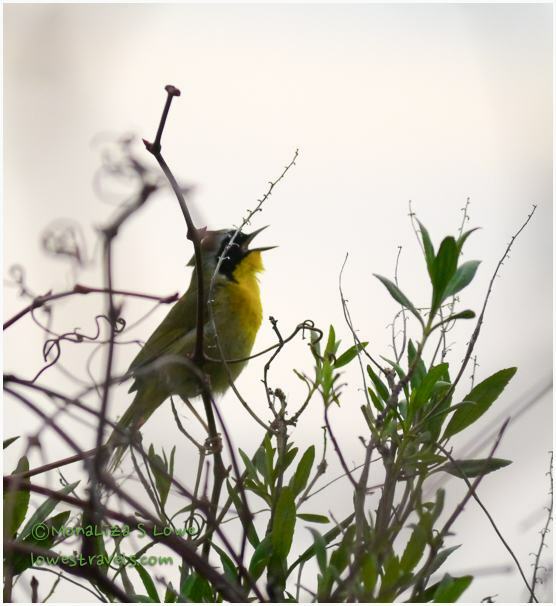 What will we do without your wonderful bird photos MonaLiza? I’m sure you will find other sights to entice us with. BTW, I have not received any notice of these last two posts of yours. I had one other follower of mine mention that she was not receiving all her emails for new posts. Hope this is rectified soon. I have to send an inquiry to WordPress. Another follower commented that my blog has changed. Since I did not change anything, WP must have been working behind the scene. Thanks for the heads up, I will ask the folks at WordPress what is going on. 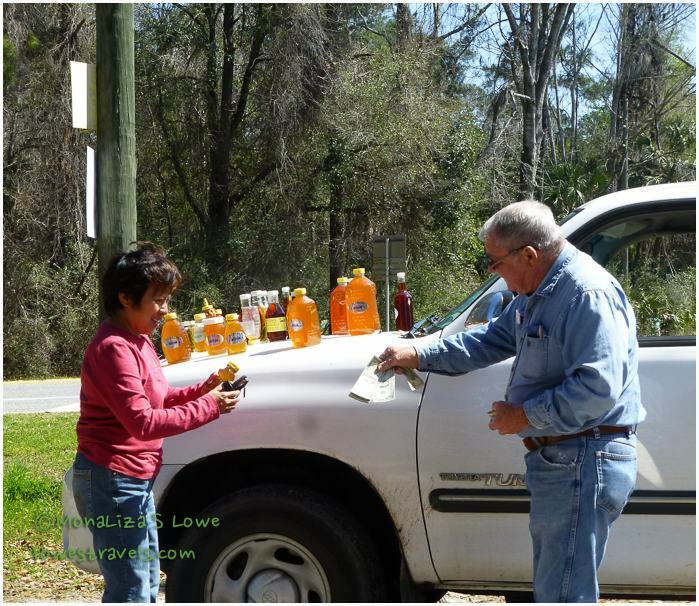 I enjoyed being “a;ong for the ride” during your Florida winter travels. Can’t wait to see where you head next! 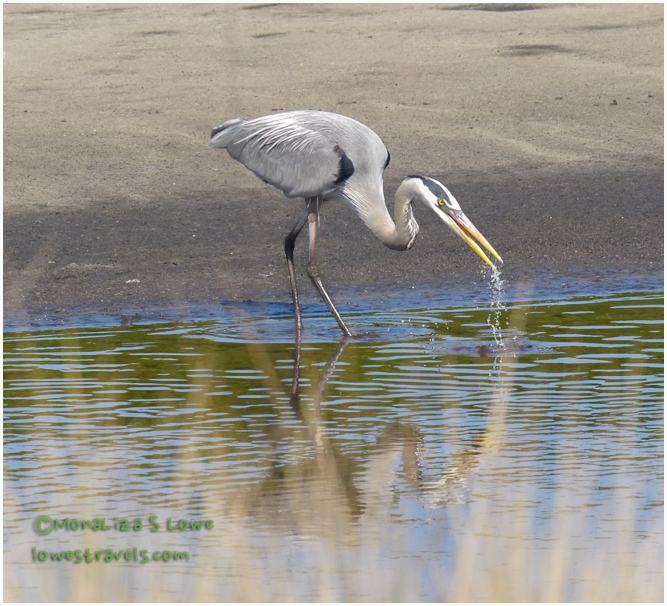 Another great day enjoying Mother Nature’s gifts … love those still waters. You certainly found a great bird gathering. It is amazing how many birds there are in FL. Thanks for the beautiful tour of a beautiful refuge. I have become a huge fan of the NWR areas. I am certainly adding this one to our list! I just love the reflection photos. What an eye you have Mona Liza! So. 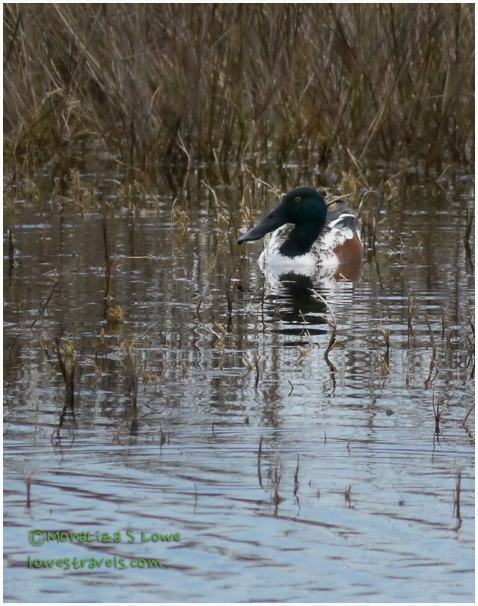 Looking at all your lovely photos – I especially like the lighthouse reflection, but I really like them all – do you think you could enjoy yourself somewhere like a nature reserve if you couldn’t take photos? I know how I’d feel! 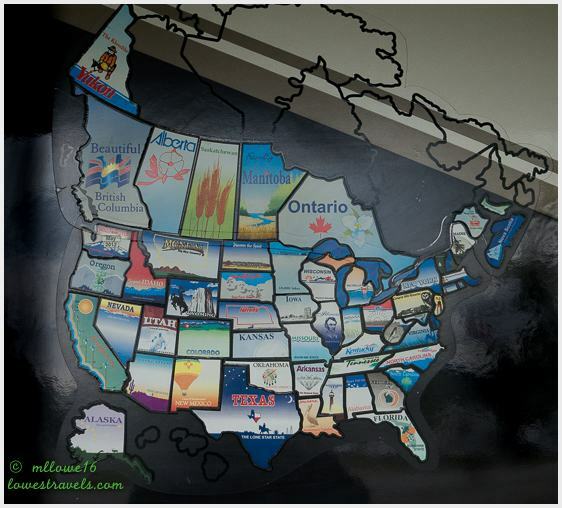 Said it before, really enjoyed seeing FL again through your blog/pictures, thanks. Looking forward to seeing where the road take you next. 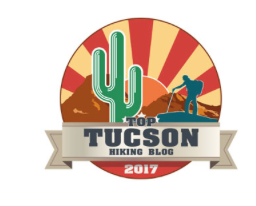 Loved the Post, as always, and the blog format has changed!!! Excellent!!! That lighthouse reflection photo is superb! Thanks for taking us to Florida with you!